Welcome to Disney Extinct Attractions. My name is Cole, and I’ll be your guide on today’s journey through some fantastical shows. 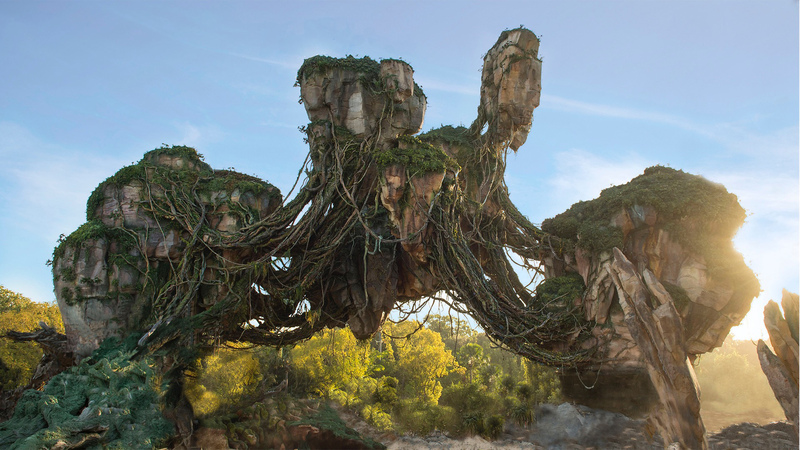 This past week, we’ve gotten a lot of great looks at Pandora – The World of Avatar before its officially opening on May 27th. Everything in the land looks amazing, and I am so envious of everyone who has gotten to experience it so far. Hopefully, I’ll be getting there in January of 2018 and I cannot wait to finally see what the hubbub is about. When Avatar came out, it received some flack for being very similar to the Disney Animated Classic Pocahontas. 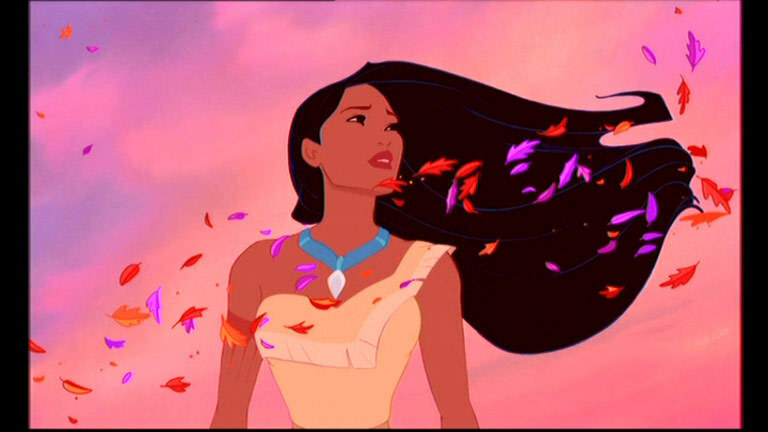 Pocahontas was a commercial success for Disney, becoming the fourth highest grossing film of 1995 domestically. It’s story of an outsider coming to a new world and falling in love with someone from the indigenous group of people that the outsider is visiting truly resonated with audiences. Avatar had a very similar story (but with a little more action) and echoed the themes of community seen in Pocahontas. 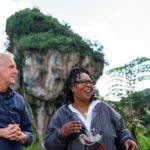 So now that Avatar has joined the Disney parks, it’s as if a little part of Pocahontas has taken hold of the Animal Kingdom. 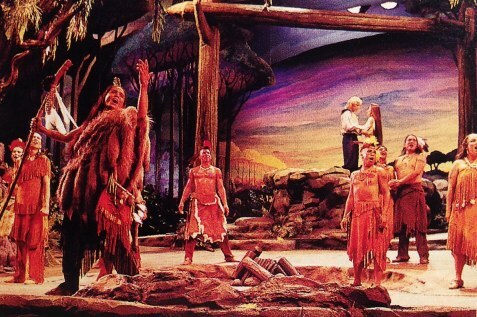 Though Pocahontas doesn’t have much representation in the Disney parks today (except for the one time I saw her in Frontierland and started freaking out because I had never seen her there before), when the movie came out, there was definitely some love for her. 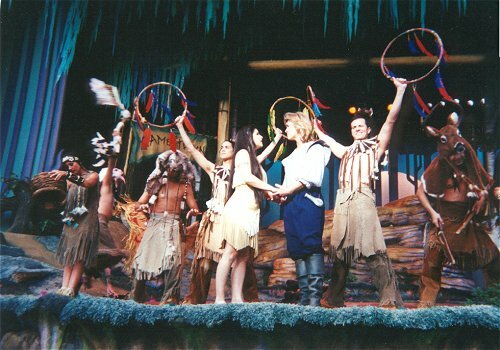 The biggest example of this love occurred when The Spirit of Pocahontas opened in both Disneyland and Disney’s Hollywood Studios on June 23rd, 1995, the same day that the film came out. It’s always a bold move when Disney opens an attraction on the same day as the film it’s based on, but I would say it worked out in this case. Though not the most popular show that Disney has produced, it did have a lot of fans and really was a fun show to watch. But before I talk too much more about it, check out below to watch the show yourself. 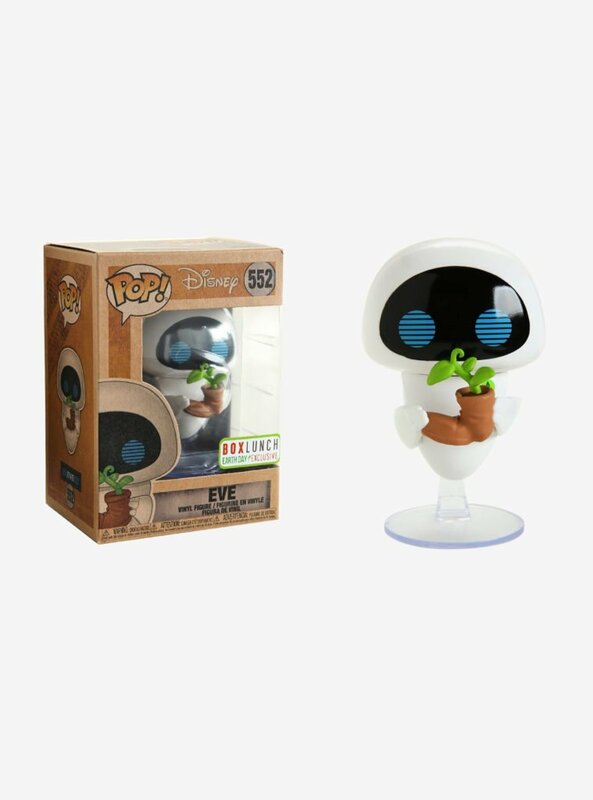 It’s the version from Hollywood Studios because it was the best quality I could find. As far as I can tell, there were almost no differences between the shows at the two parks, which both followed a popular Disney show narrative of recreating the story of the film within a broader overall structure. The chief storyteller of Pocahontas’ tribe recounts the tale of film, using the native people as the actors along with Pocahontas and John Smith themselves. My favorite part of the show was the elaborate design of the stage. 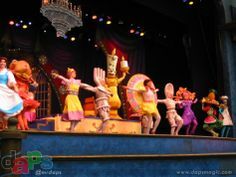 The show designers did a great job of utilizing the space they had at the Fantasyland Theater in Disneyland and the recently demolished Premiere Theater in Hollywood Studios. But the most impressive part of all was the giant puppet that was Mother Willow. Cleverly designed like a tree, the puppet was a great addition to the show that really felt alive when she performed. Overall, I really enjoyed the show, but I feel that it could’ve used a little more life because it felt pretty contrived at points. To be fair, the show was trying to fit 90 minutes of material into half an hour, and I haven’t seen the film in a while. So I was trying to pick up most of the story through the show, but I still wanted just a tad more than what we got. 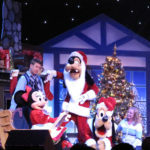 Ultimately, the shows still had good runs in the parks, with it lasting until February 24th, 1996 in Walt Disney World and September 4th, 1997 in Disneyland. 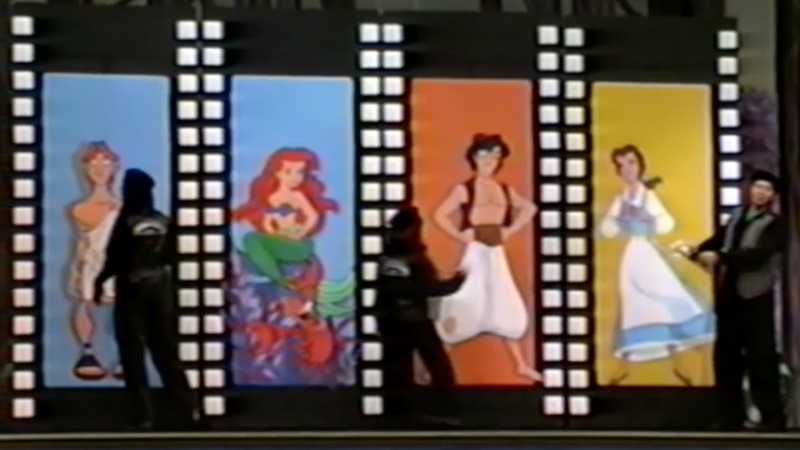 In Florida, the show was replaced by The Hunchback of Notre Dame – A Musical Adventure, to tie in with the recently released film, but Disneyland had a more original replacement to Pocahontas, known as Animazement – The Musical, so that’s where we’ll be focusing today. 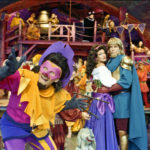 Opening on June 18th, 1998, Animazement – The Musical (yes, that’s the official name, so I had to say it one more time the full way because I love that they added “The Musical”) was themed around the Disney Renaissance, the time from 1989 to approximately 1999 where Disney animation had a major resurgence. The show was wholly original and was definitely not what I expected but in a very good way. 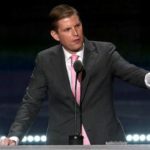 If you want to see what I’m talking about without any spoilers, just click below for the entire show. The story line of the show was kind of nonexistent, loosely based around a group of artists who bring together characters from the Renaissance to sing songs from their musicals. I really liked that aspect, though, because the show was very self-aware of what it was, something that Disney generally strays away from. But this difference made it way more enjoyable because it was unlike anything that I had seen before. Also, where the lacked in story, it made up for in show-stopping performances. The “Be Our Guest” segment was one of the best musicals segments I’ve seen in a Disney show and just put the biggest smile on my face. Additionally, all of the characters in the show knew each other and had some funny interactions with each other. The “Be Our Guest” segment was interrupted at the end by Aladdin with “One Jump Ahead,” and everything felt completely normal. Then, during “One Jump Ahead”, Hades and Frollo showed up briefly, but it was done in such a perfect way that you really felt like all these characters had known each other for a while. I believe that a lot of the reason the show flowed so seamlessly was because Alan Menken wrote the music to every film represented except for The Lion King. Menken was Disney animation’s go-to guy during the Disney Renaissance and for good reason. He rarely writes a bad song or score, as seen by his eight Academy Awards. For Animazement, he also wrote an original song called “It Starts with a Sketch” that opened and closed the show. Immediately, its notes reminded you of all those classic songs and placed you into the action of the show. I really fell in love with this show because it was just so much fun to watch. You could tell that all the performers were having a blast, and they made it so enjoyable for everyone watching. Eventually, the theme of the Disney Renaissance began to grow old as these films got older and further from the public’s mind. So on October 21st, 2001, the show closed to make way for Mickey’s Detective School. 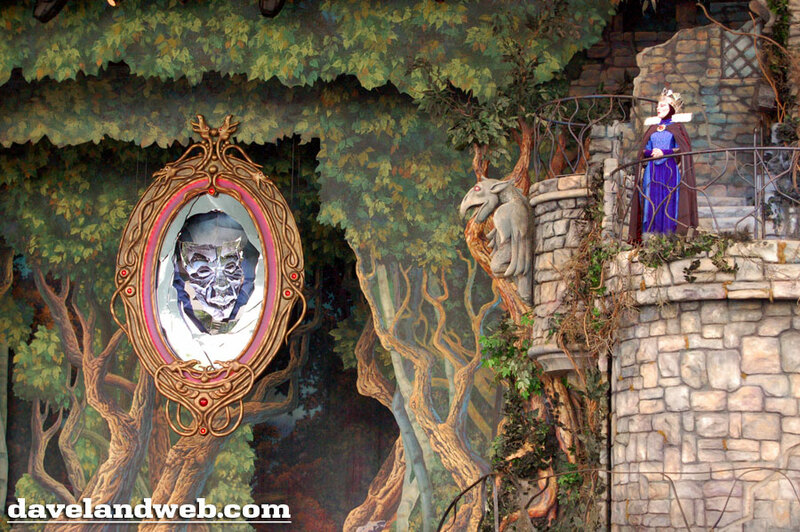 For our final attraction of the day, let’s jump forward a few years to February 23rd, 2004 when Snow White: An Enchanting Musical took over the Fantasyland Theater. Now there isn’t much written about this show online other than the fact that it opened to mixed reviews and went on a couple of hiatuses during the offseasons it was in the park. So let’s take a look at the show itself, which you can find below if you want more of an idea before I discuss it. I just want to start by saying that I absolutely loved this show. It’s easily in my top 10 Disney shows of all-time, maybe even my top 5. To start, the Magic Mirror just looked awesome and served as the narrator for the story in addition to being a character in it. Plus, it was voiced by Patrick Stewart, whose voice was simply perfect for the role. 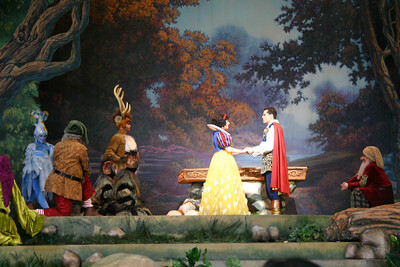 The set for the show was also amazing being one of the best I’ve seen in a Disney show. 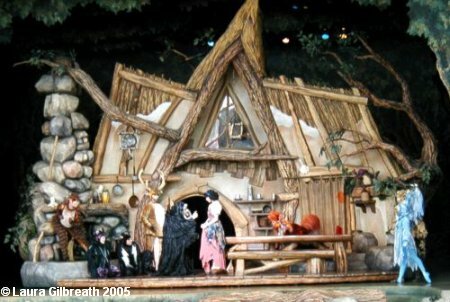 The Dwarfs house rotated on stage, so that the exterior and interior were both able to be used on stage within seconds. When I first saw it rotate, I was stunned and the fact that it worked so perfectly multiple times throughout kept me amazed. But what really did it for me was Snow White herself. 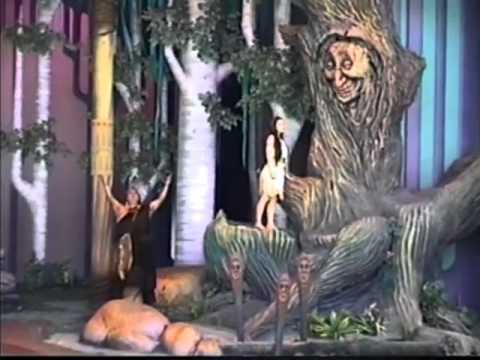 The woman who played her in the video above put on one of the best performances I’ve ever seen in a Disney parks production. 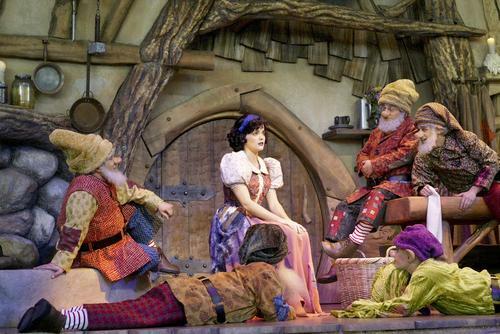 She had a great singing voice and personality, and she just became Snow White. So I know that not all of the Snow White’s could have been that good, but the fact that she was led to my love for this show. Unfortunately, it seems that I was in the minority in my love for the show, as there were the hiatuses I mentioned. I feel like Snow White just wasn’t quite popular enough of a character at the time. Sadly, that meant the show closed for good on Labor Day weekend of 2006. Altogether, I felt all of the shows discussed today really did justice to the Disney brand. Each felt very different, but they all had that same Disney touch that you look for in a great attraction. Now this week, there won’t be any clues for next week’s post because I have an announcement to make. This summer, I’ll be taking a break from writing this blog because of personal reasons. It’s actually a good personal reason, so don’t worry, nothing is wrong! I love writing this blog and can’t wait to be back to it in August. Thanks for reading, and have a magical summer!